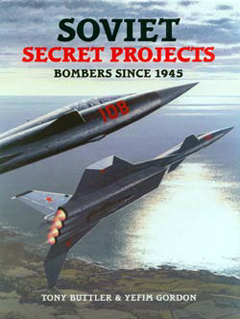 This is the lastest in Midland Publishing's 'Secret Projects' series, which has covered all sorts of interesting, oddball and even downright bizzare national aviation projects. The book covers designs from the former Soviet Union since the end of WW2. Paper projects get equal space with those that resulted in prototypes, though most of those never went into series production. 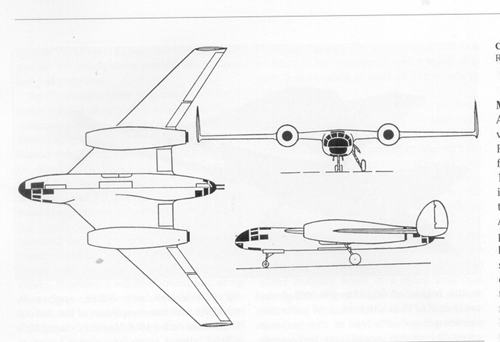 Most of the designs that fill the pages are jets, because that's what promised speed and reliability in the Cold War era, but there are plenty of props and even nuclear-powered designs interspersed throughout. Backfire and Blackjack (two projects that did lead to successful production). 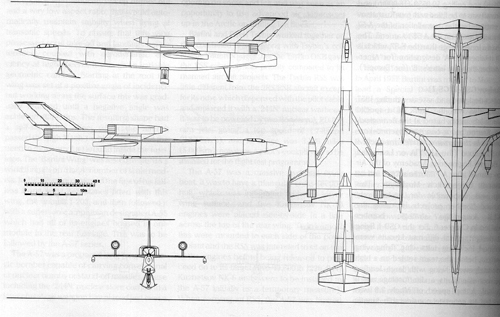 These are followed by a color section depicting many of the aircraft, about half of which are models, a project summary, glossary and bibliography. The text is comprehensive, if a little dry. The authors paint a fascinating picture of the development of the various designs, including not only technical specifications and design parameters, but also the competition and politicking between design bureaux for orders and favor. The real stars of the book are the photos, drawings, sketches and models, most of which are being published for the first time. These alone are worth the price of the book, even if aviation history doesn't grab your interest. What's in it for the sci-fi modeler? 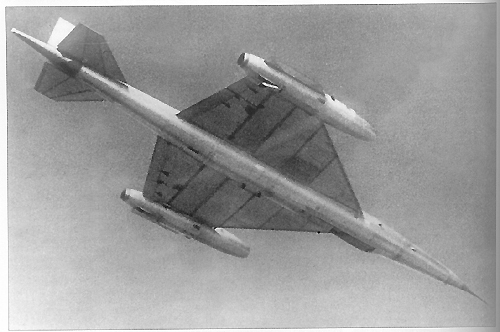 How about supersonic flying boats? Intercontinental yard darts? Tail-less boomerangs? 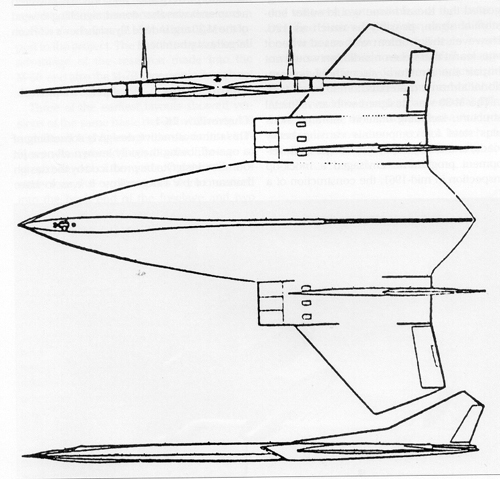 Or my favorite - Moskalyov's DSB-LK Mach 4+ cruise missile carrier. The pages of this book are crammed with inspiration! This page copyright © 2005 Starship Modeler. First posted on 11 April 2005.